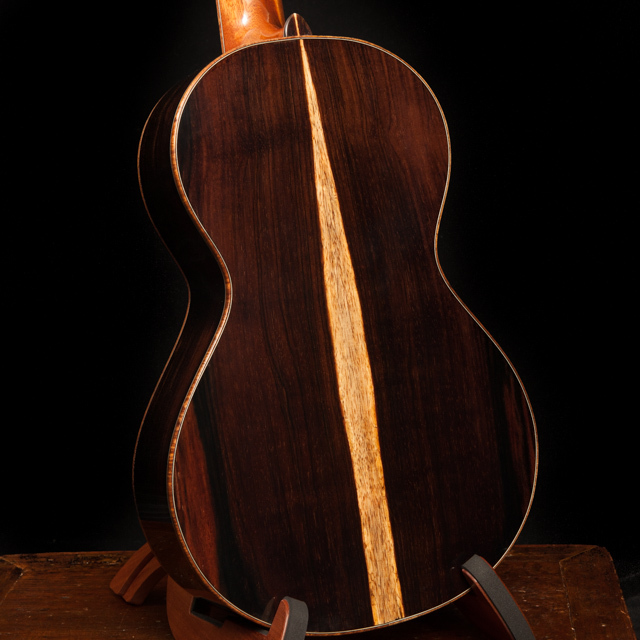 Jay often shares the story that Lichty Guitars began with a dream. 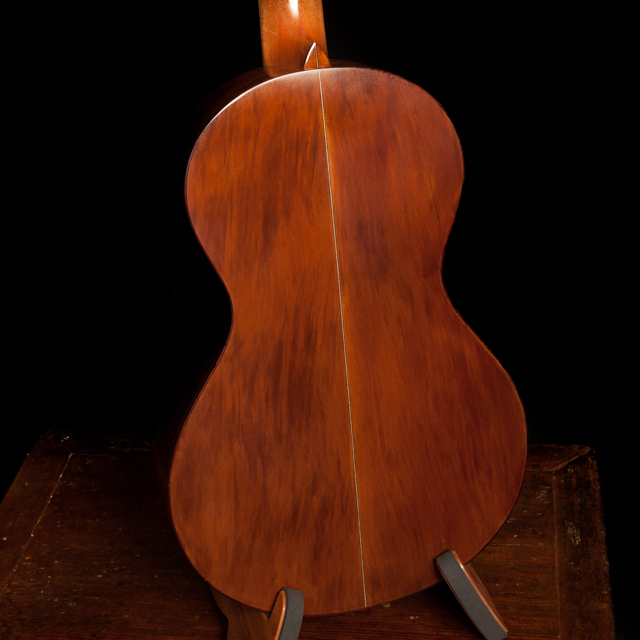 In his dream Jay was on stage playing a small-bodied instrument of some kind. 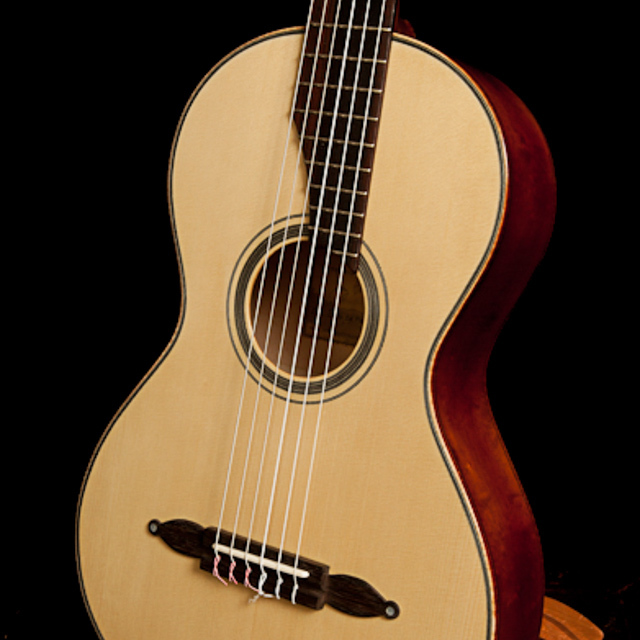 When he awoke he began searching online to see if he could find the instrument. 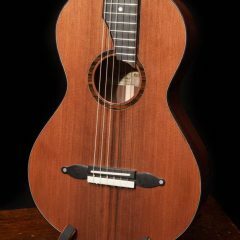 That search actually led to Jay discovering ukuleles (not quite the instrument in his dream but they looked so fun to play!). 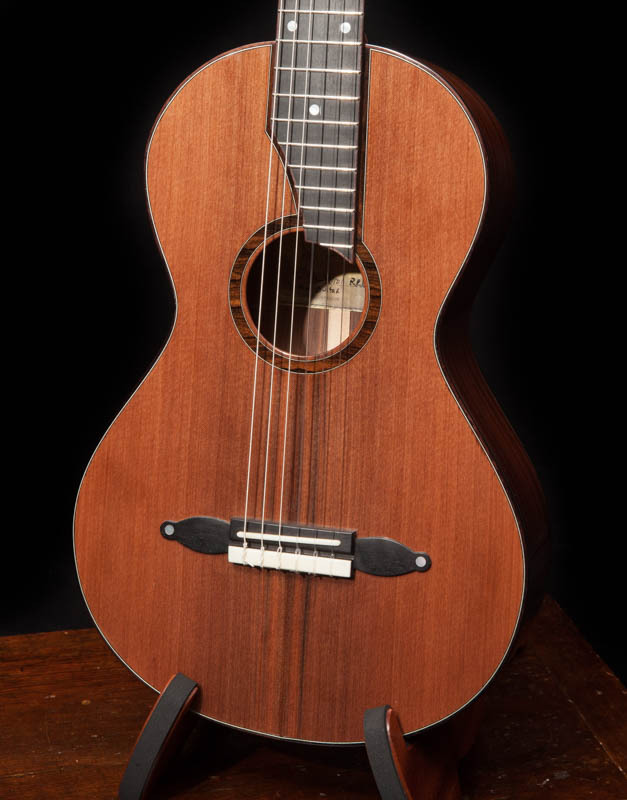 His fascination with ukuleles grew quickly and led to actually building his first instrument. 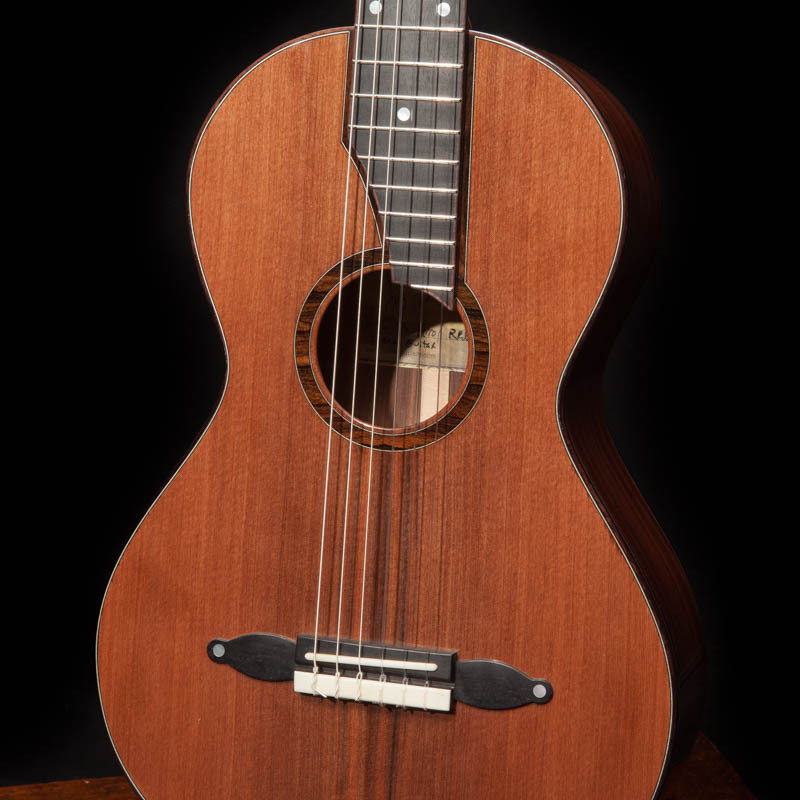 Over the next couple of years, as Jay built a variety of ukulele styles and guitar styles, he kept this guitar from his dream in mind and occasionally worked on sketching plans. 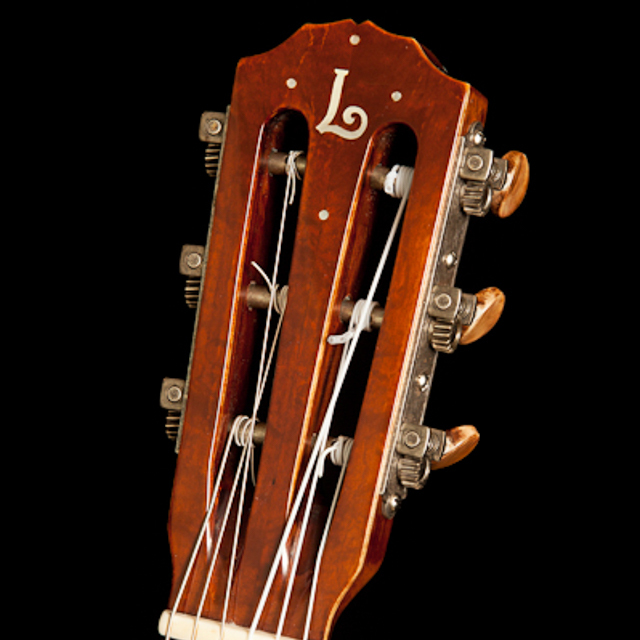 Fast forward to February of this year when Lichty Guitars exhibited at the Spartanburg Guitar Show. 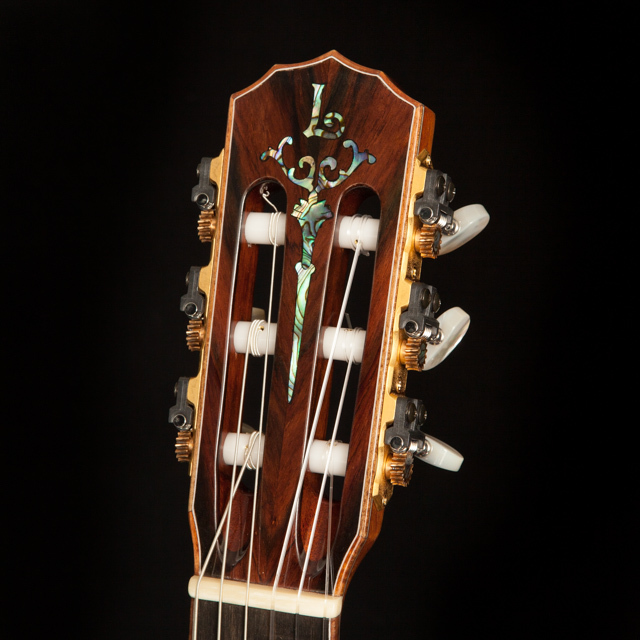 Just as the show was opening a little nylon string vintage guitar caught our eyes and we had to have it. 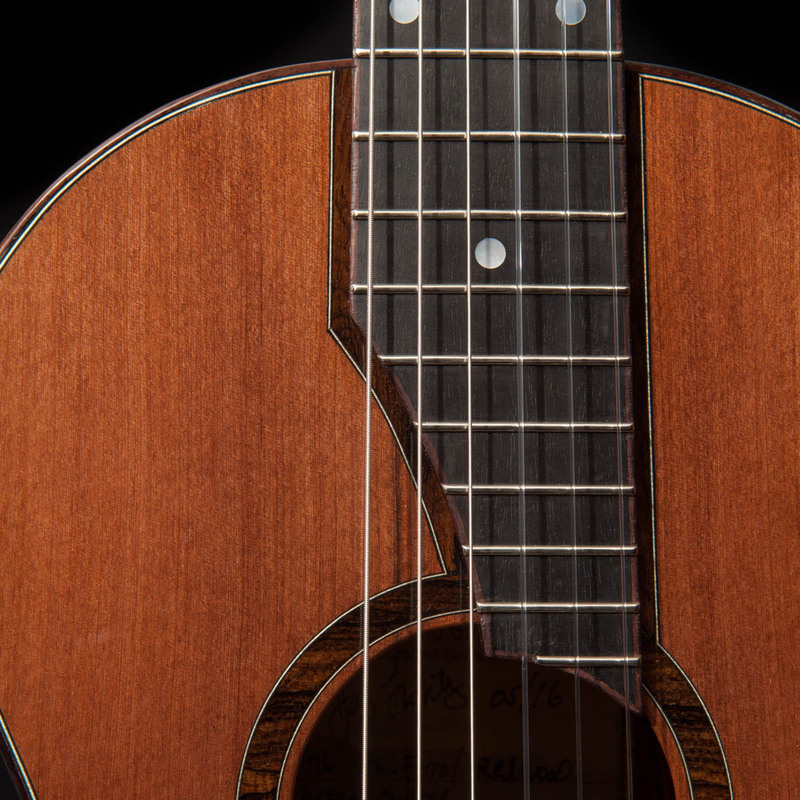 The price was right; the sound was right and it had that special something about it. As soon as we got home with our new purchase Jay began playing it endlessly. 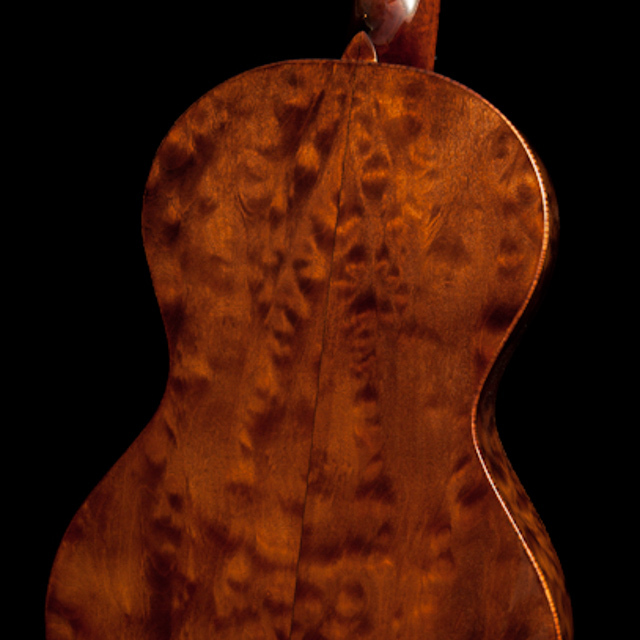 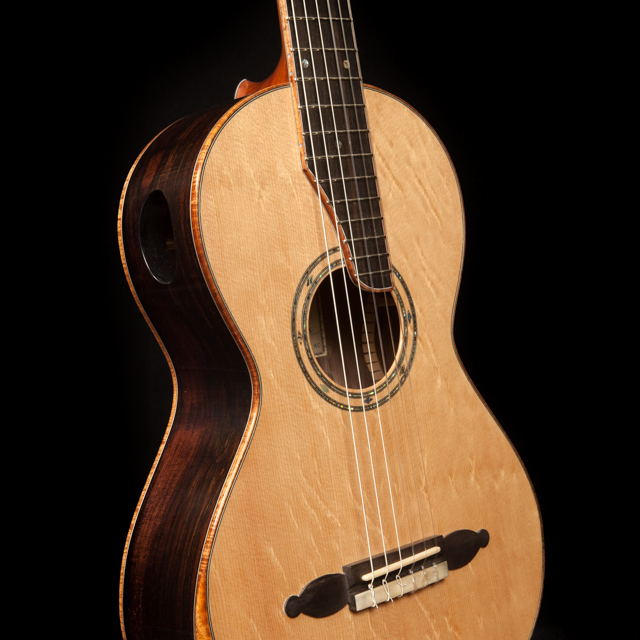 As you might imagine, being a luthier, he was inspired to build something similar. Here is where this story all comes together … When Jay laid this vintage guitar on top of the plans for his dream guitar the body outline was identical. In that moment he knew he had found the instrument in his dream and that the time had come to bring it to life. 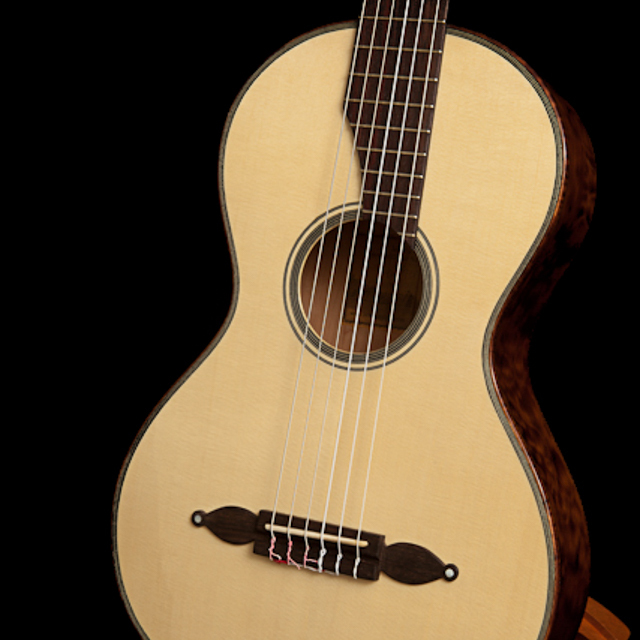 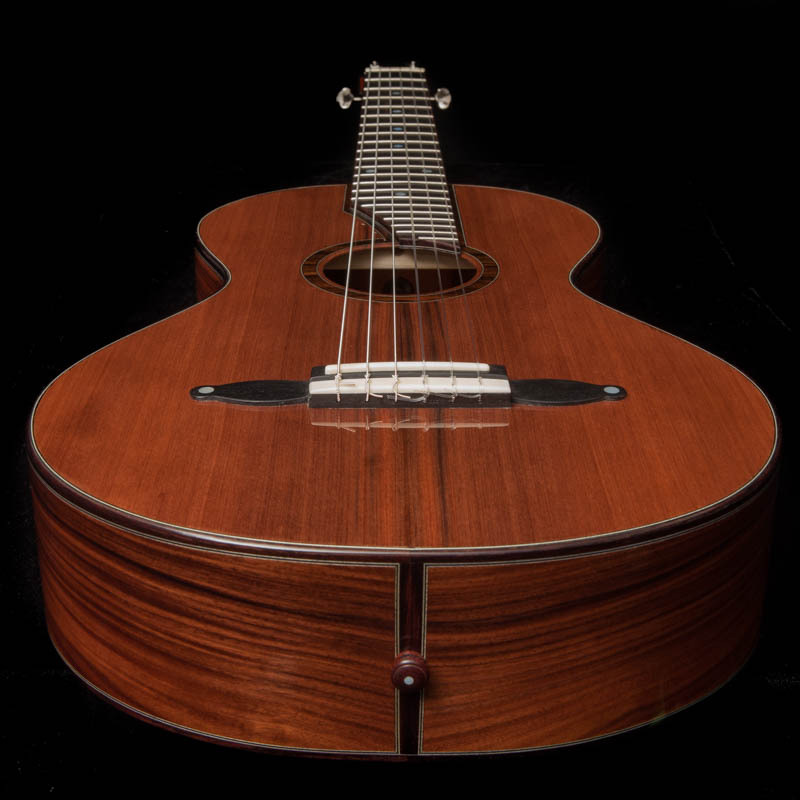 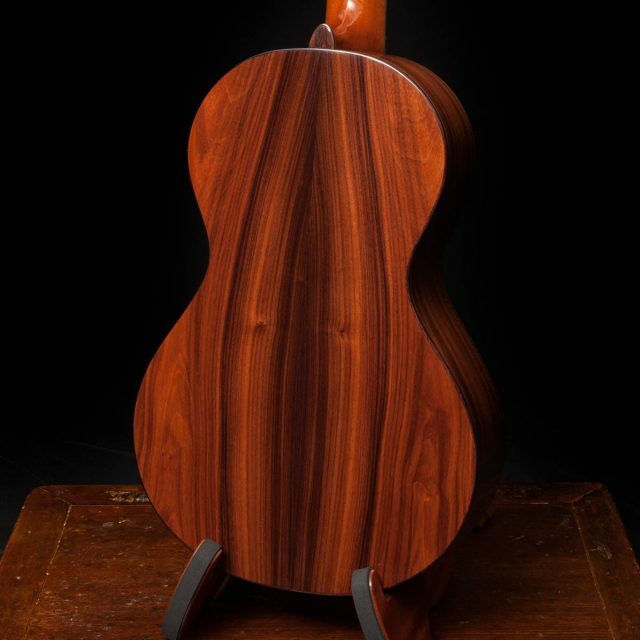 The Lichty Dream Guitar is smaller than a parlor guitar and larger than a baritone ukulele. 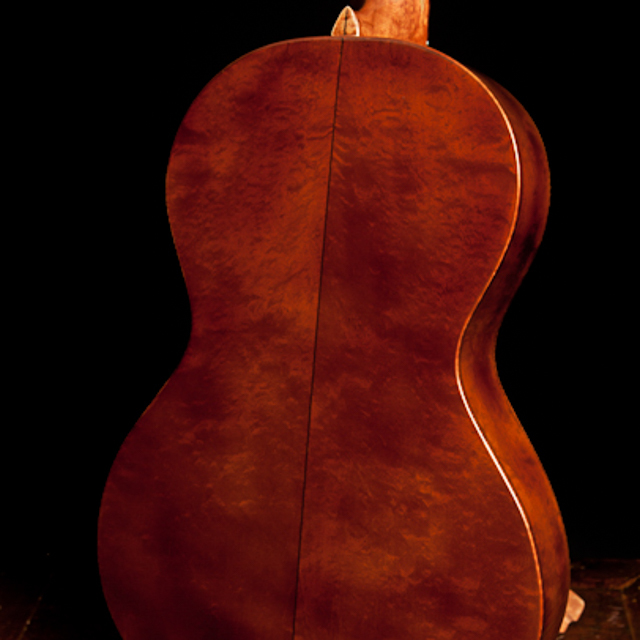 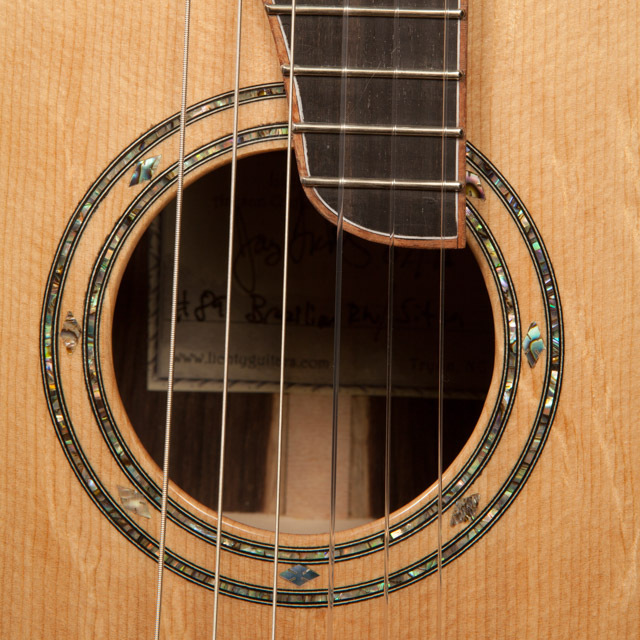 Base Price: $5,550 – includes a custom Cedar Creek case and a radiused fretboard.